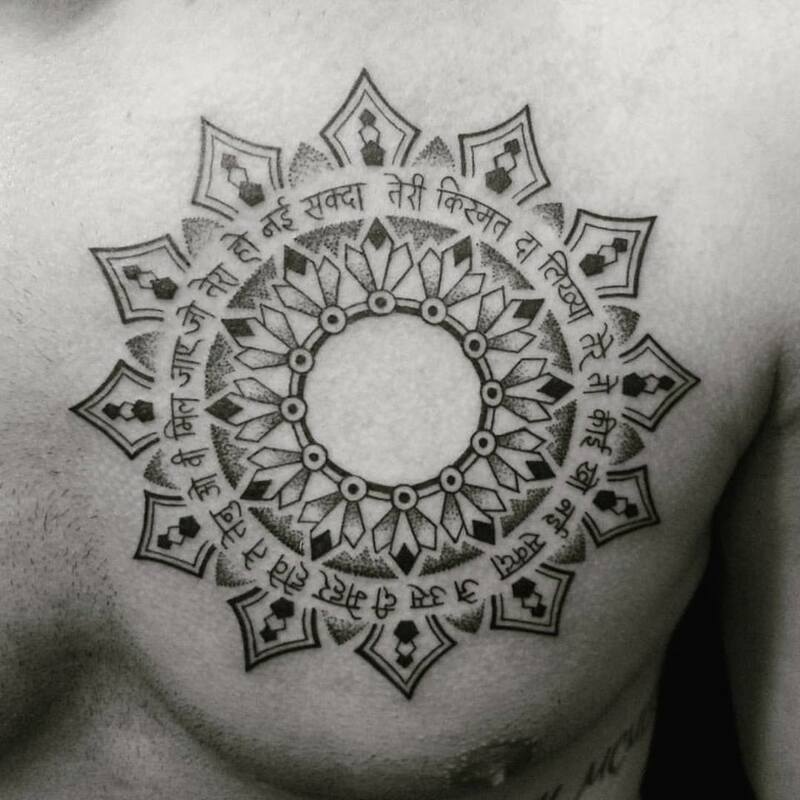 The word ‘Mandala’ finds its origins in the Sanskrit language, meaning a circle. 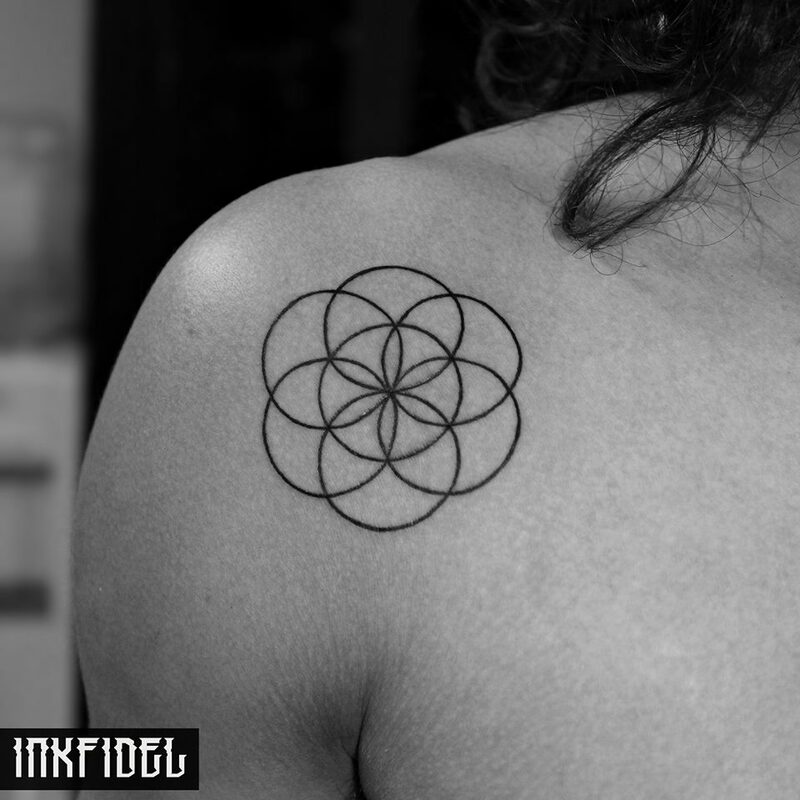 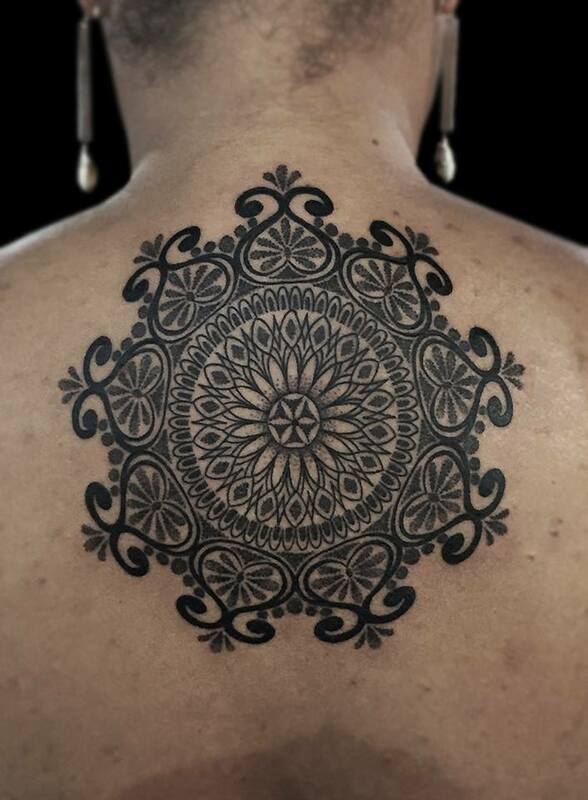 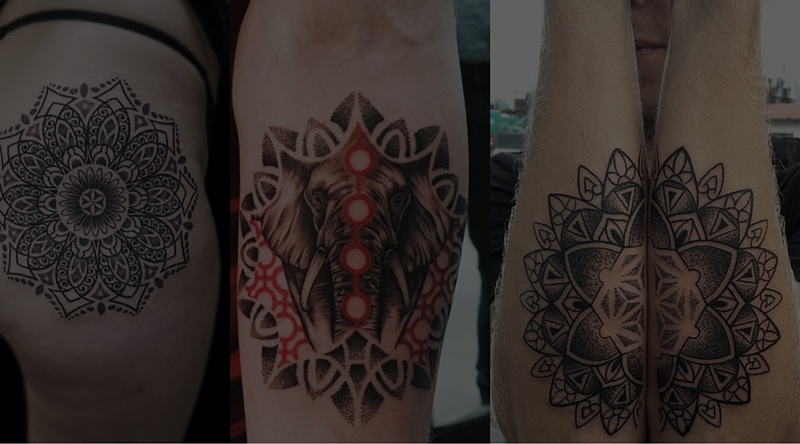 Since the dawn of social media, mandalas have easily become the most common tattoo idea for many across the globe. 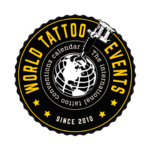 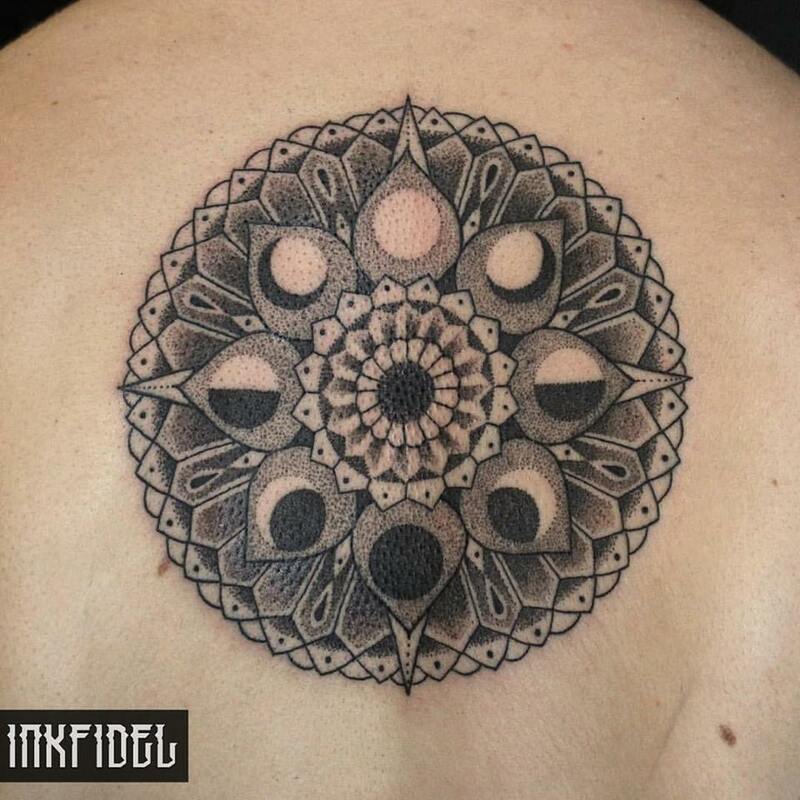 They are good to look at, they are ornamental in nature, and for tattoo virgins who are eager to get inked, but don’t know what, mandalas are the safest bet. 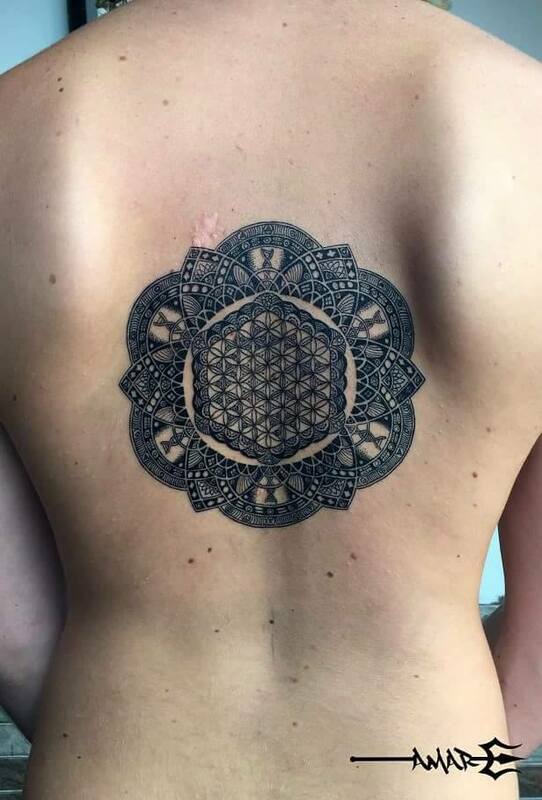 A Mandala represents wholeness, a cosmic diagram reminding us of our relation to infinity, extending beyond and within our bodies and minds. 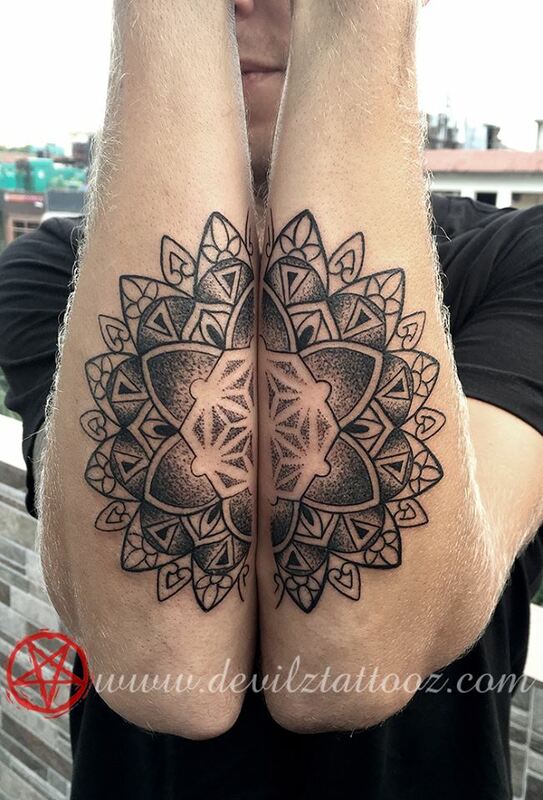 Mandalas are circular designs symbolizing the notion that life is never ending. 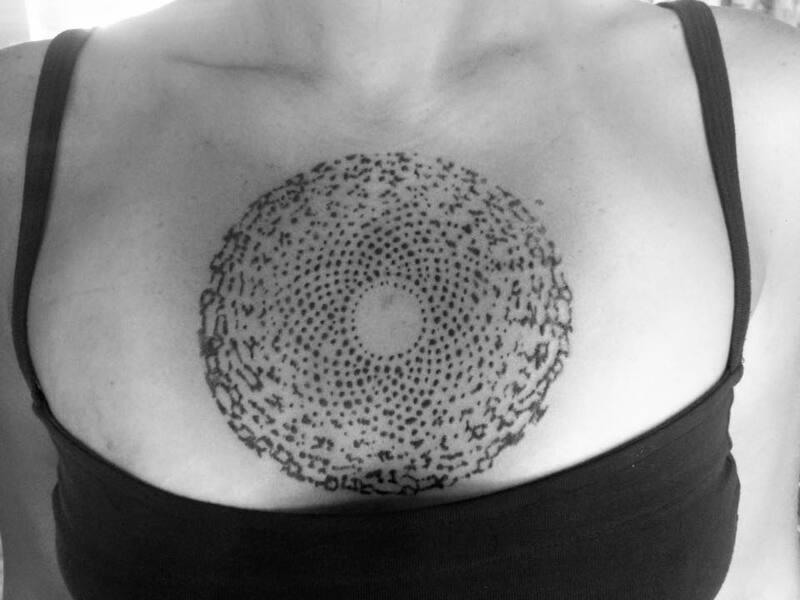 Bodies die, but life moves on, and that thought is at the core of every mandala. 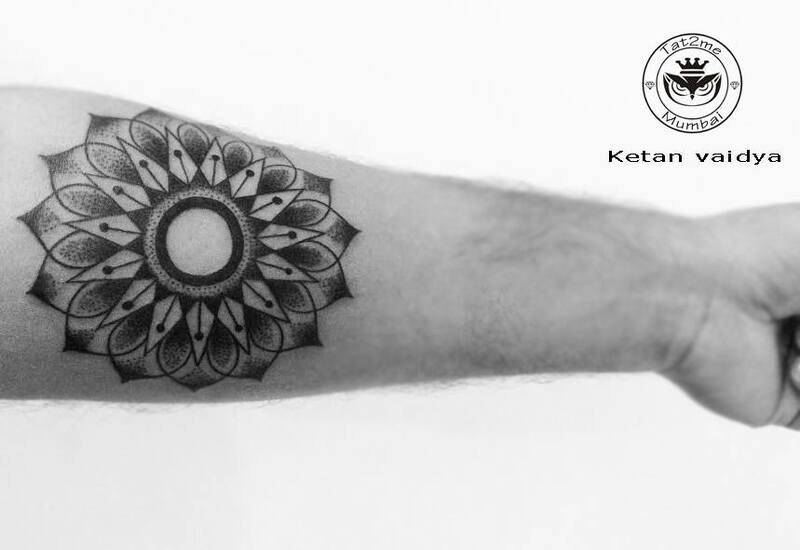 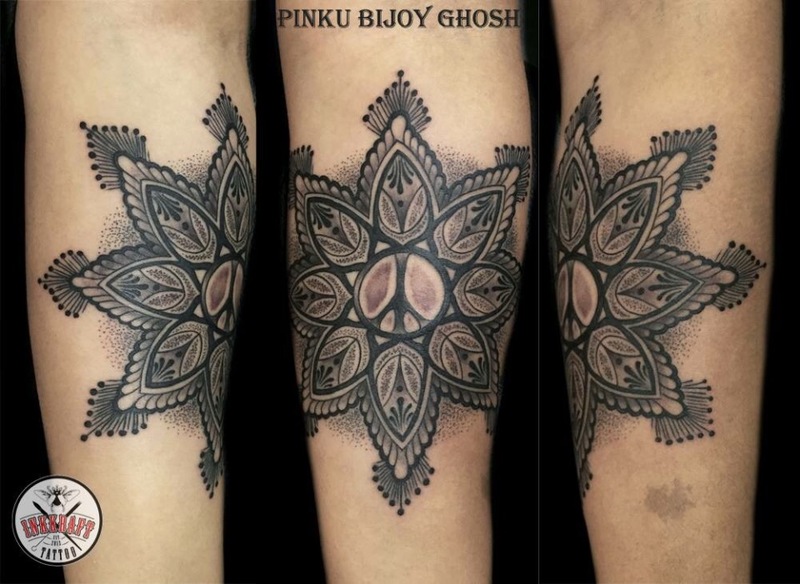 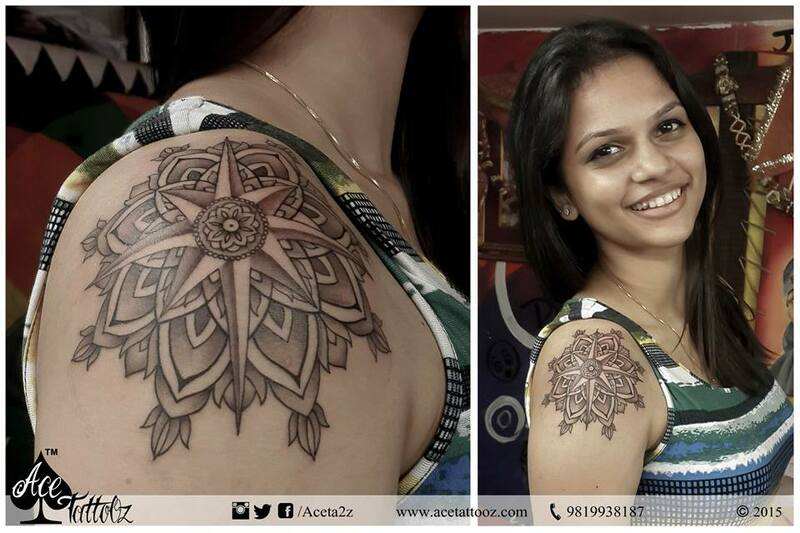 With the rising popularity of mandalas, we have also seen a lot of shabby mandala tattoos done over the years. 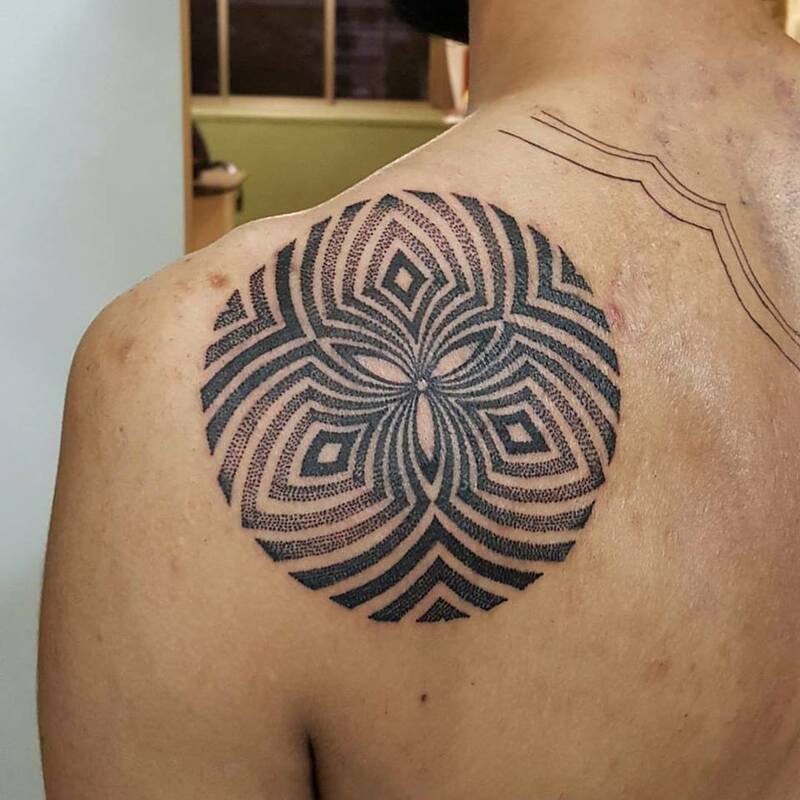 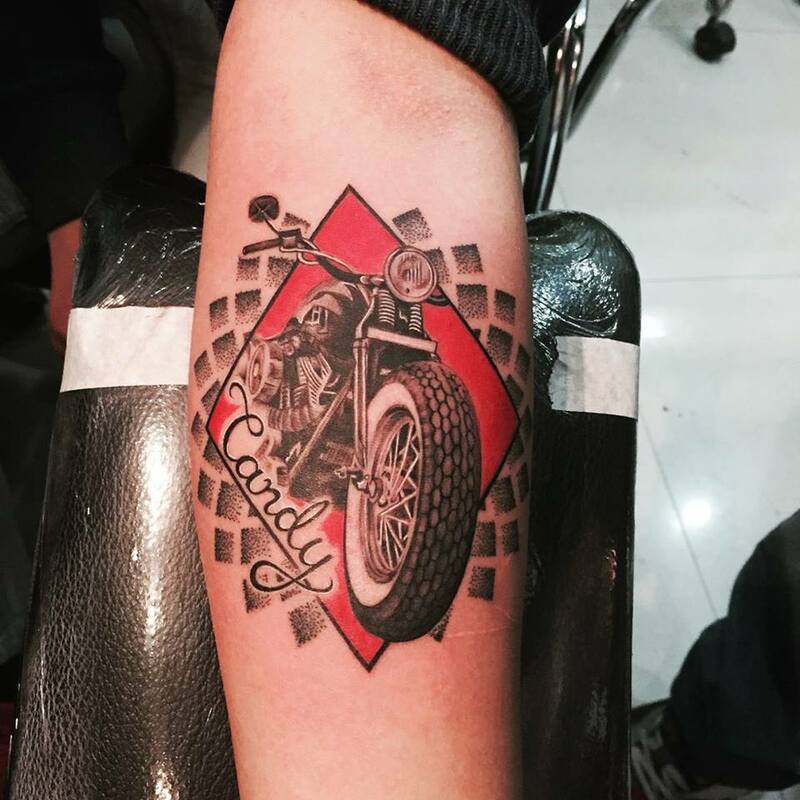 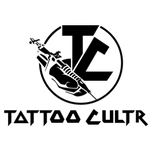 Technically, it is simple to understand, but not the easiest design to execute, because your tattoo artist needs to very solid with his lines, and very precise with each dot. 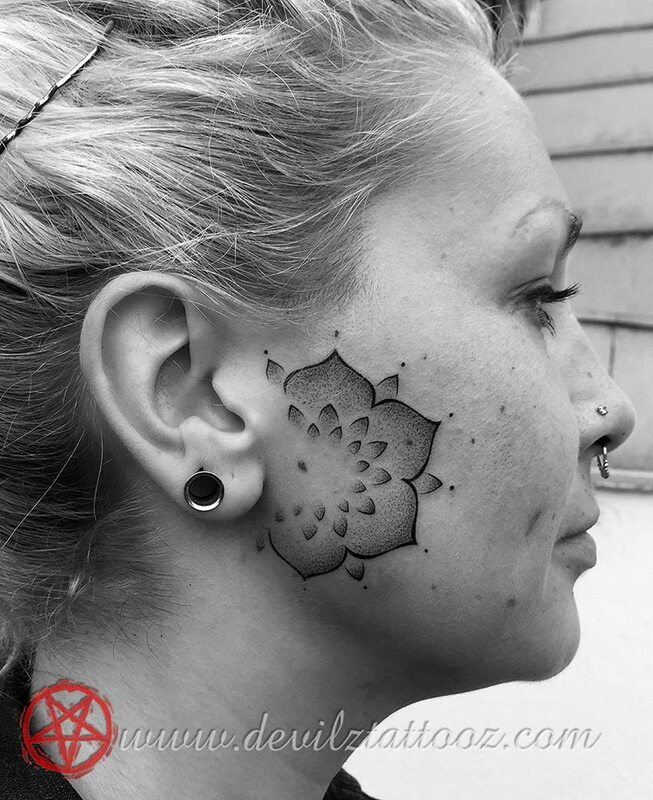 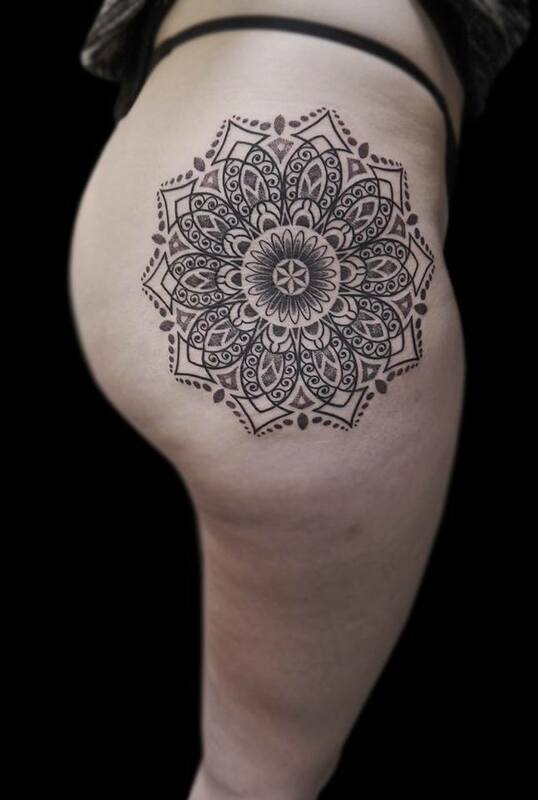 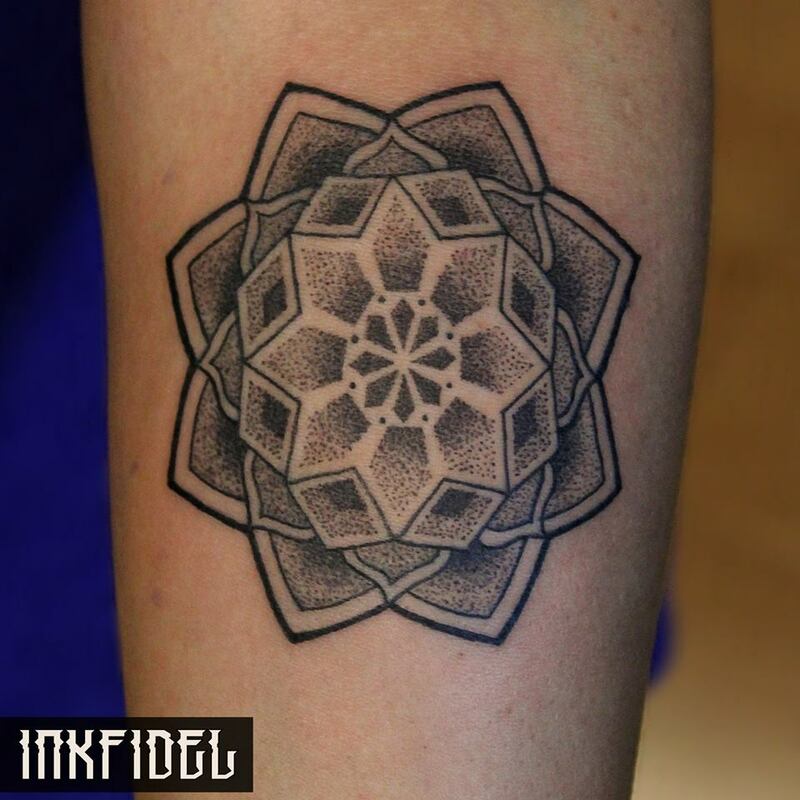 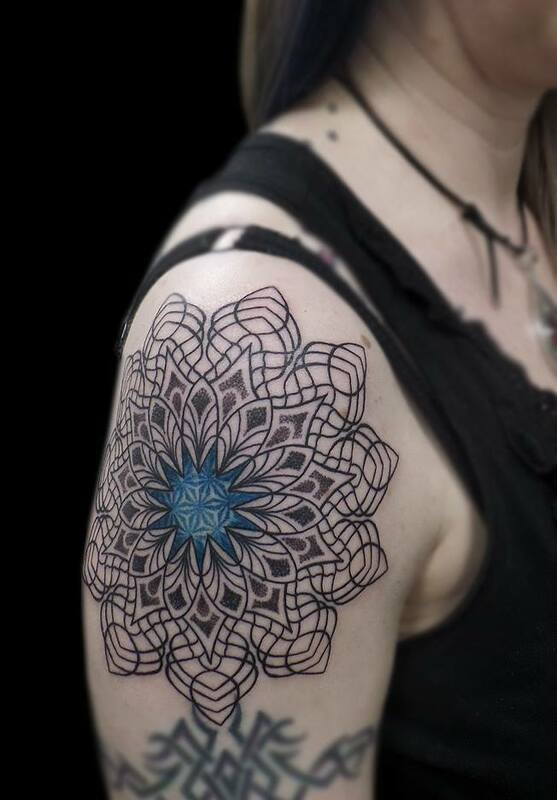 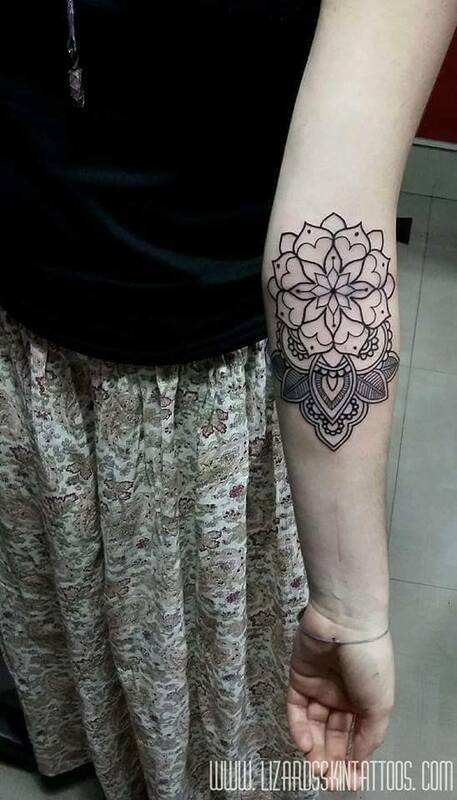 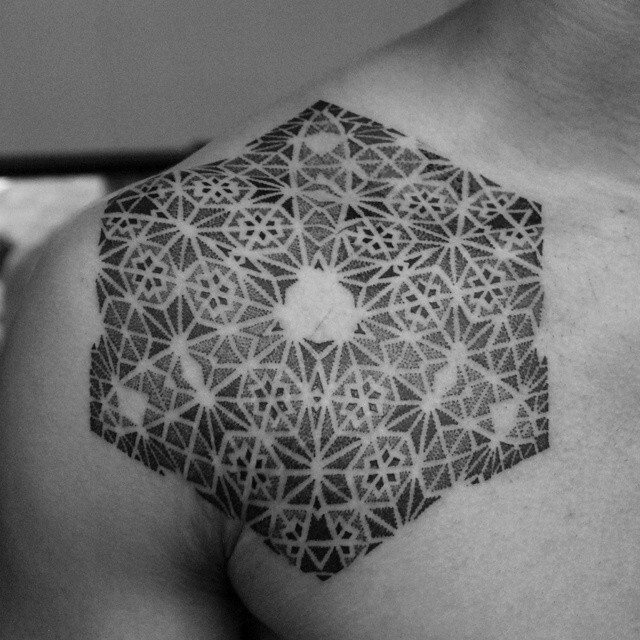 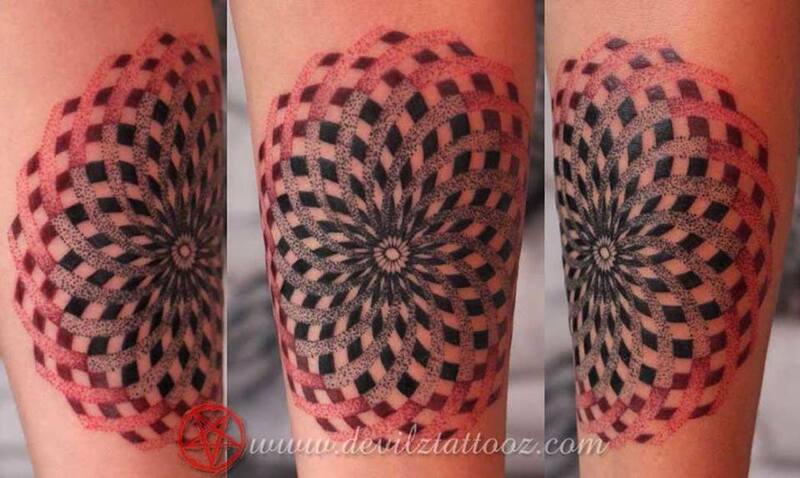 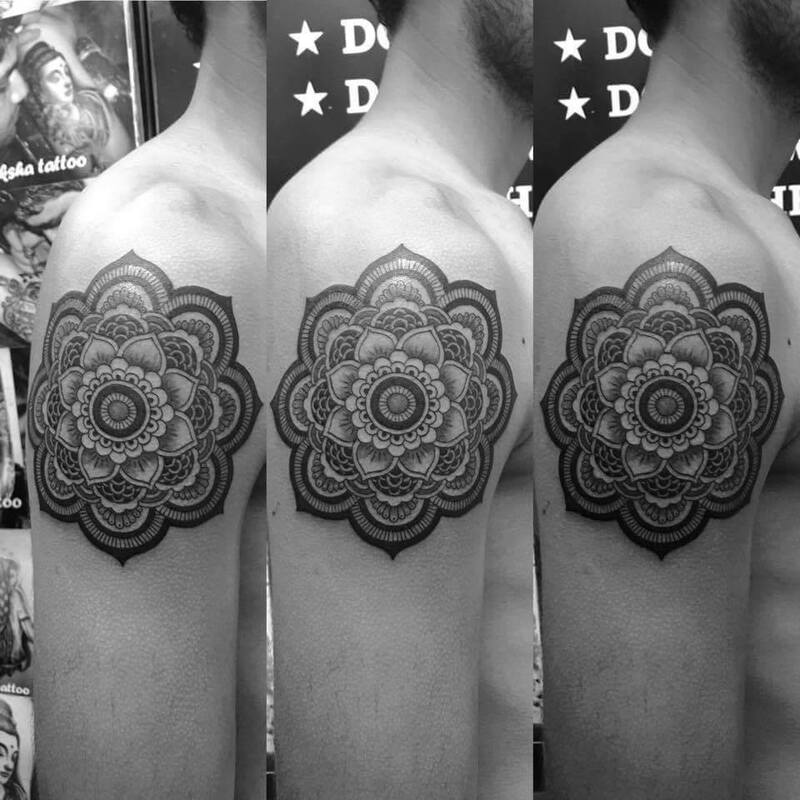 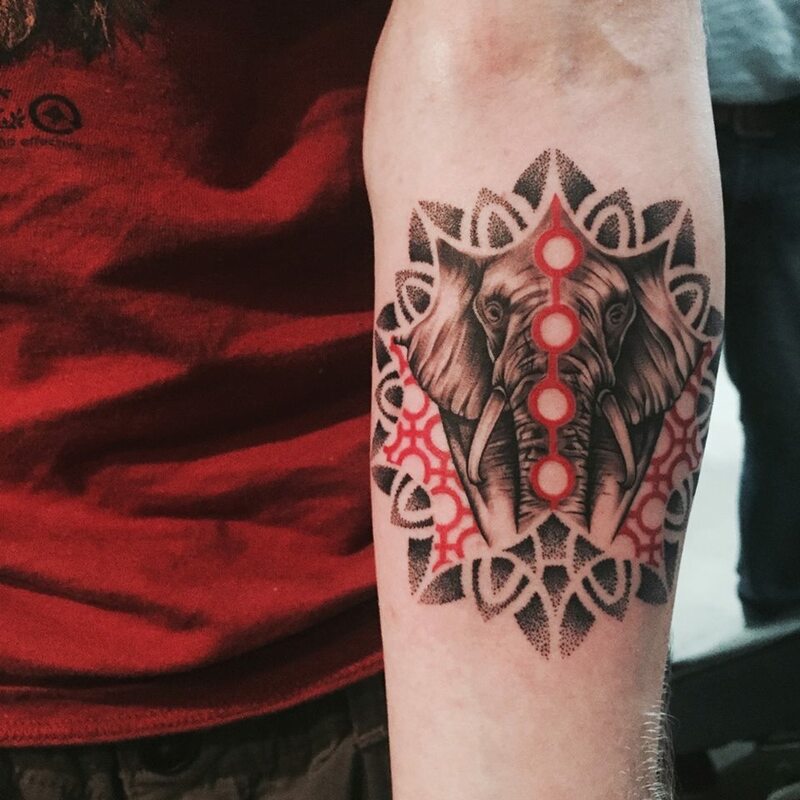 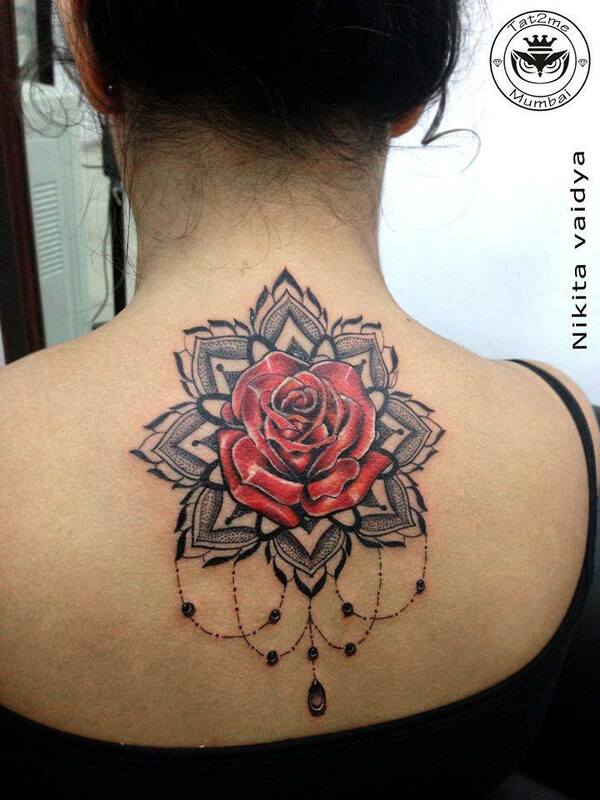 Thus, it is very important to choose the right dotwork tattoo artist to get your mandala done. 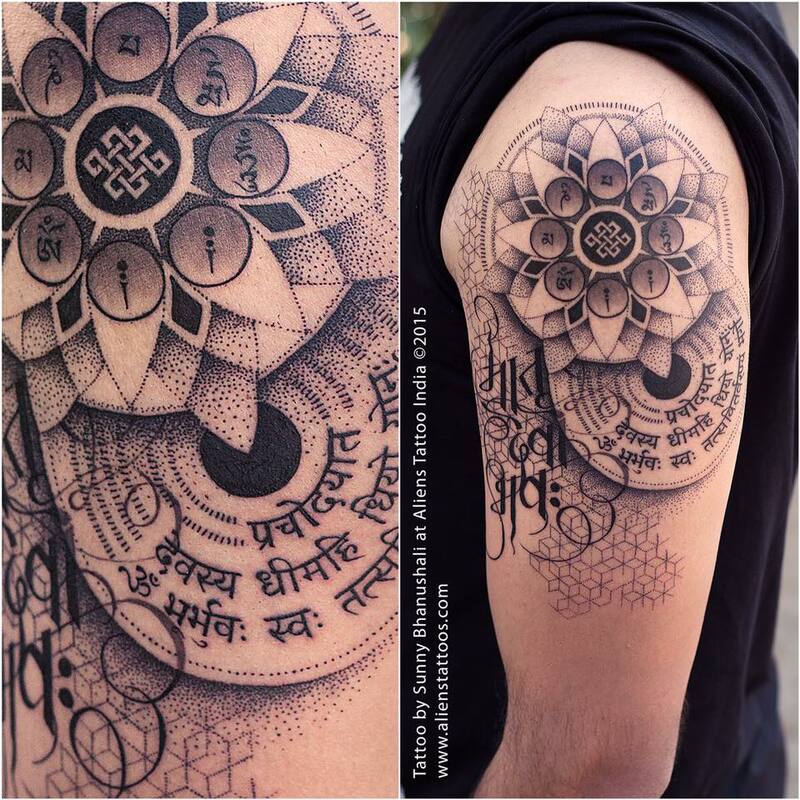 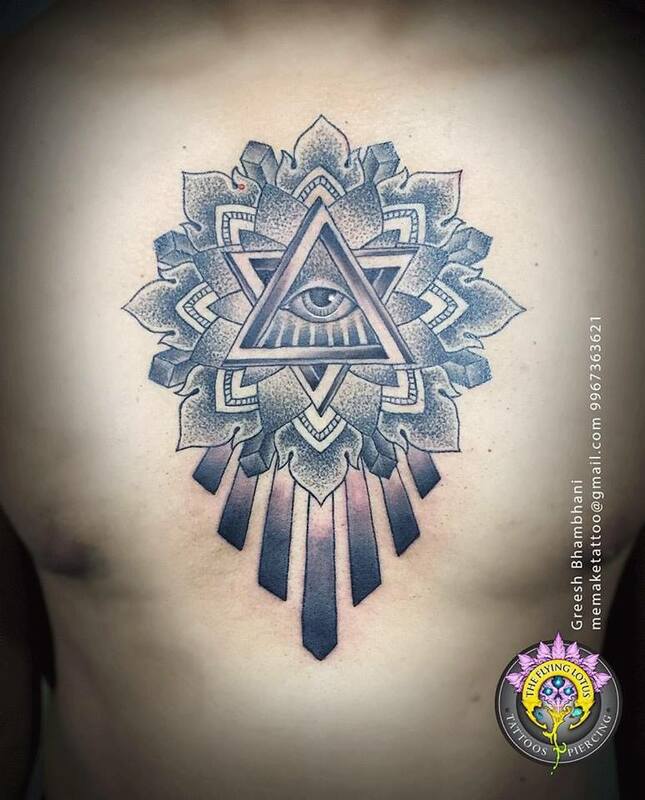 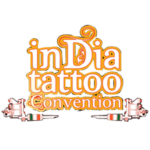 We have compiled a list of splendid mandala tattoos done in India, so that you can choose the right artist.